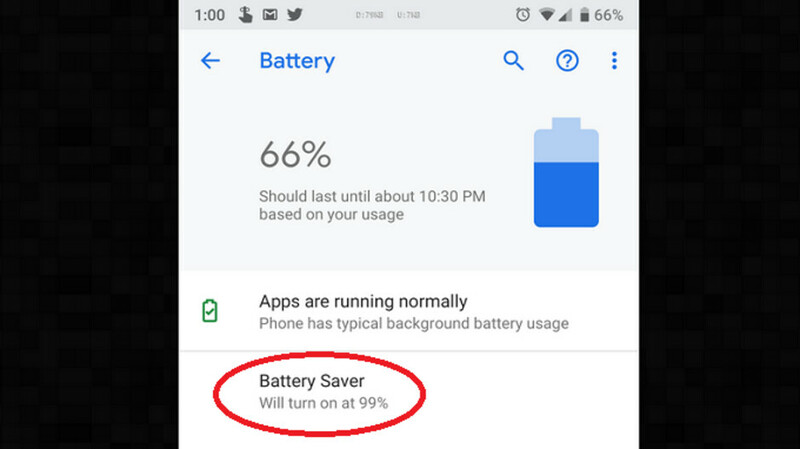 At Reddit, the great news was that some Android phones that ran Pie or Pie beta (like Pixel models, Essential Phone, Nokia 7 Plus and OnePlus 6) turned on battery-saving mode even though the battery on the phone was almost fully charged . For those who are not familiar with this feature, it is supposed to keep the battery running for a long time by preventing apps from running in the background. It also stops the apps from being updated until they open and lower the brightness of the screen. 5% or lower. However, some of those who drove a handset ran Android 9, the level of 99% (not of them) found that essentially turned on battery-saving mode on these devices. As Google explained on the Google Pixel Reddit page, this issue was accidentally caused by "an internal experiment to test battery-saving features that were mistakenly rolled out to more users than estimated." Google has since returned battery-saving mode to default settings. And while Google said that it was sorry, some of the affected were upset that Google had changed settings on their phones without notifying them. But what these users do not handle is that they should not be involved in the experiment initially, so there was no reason Google notified them in advance. So, with everything back to normal, you should not worry more about battery-save mode enabled randomly on your Pie-powered Android phone.